Love undertakes new challenges heroically. Open minds and hearts, mixed with inscrutable aesthetic lexicons, can make for a magnificent experience. To wit: Knight Howls, the duo of Frank Hurricane and ARKM Foam, two unpredictable kindred spirits wholly idiosyncratic in their approach to sound, music, and whatever might live in between and beyond those things. 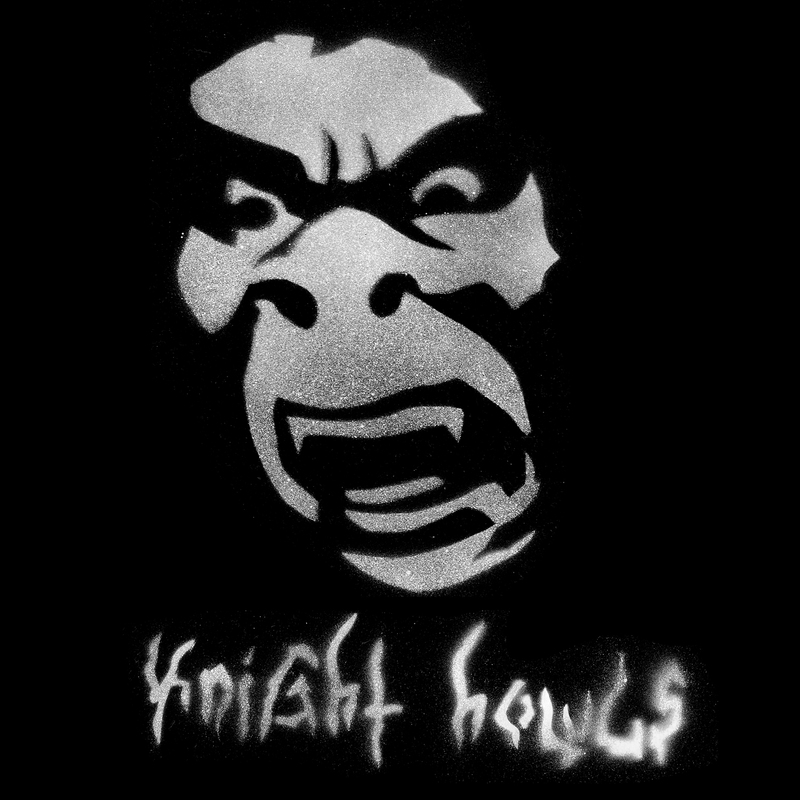 But yeah, what exactly is this Knight Howls record? It’s a funhouse just daring you not to understand it. There are howls, murky breaths, holy psychedelic threats of violence, inexplicable chants, enigmatic field recordings of outdoor activities, and plenty of raw, weird thoughts. There’s a perverse narrative, I think, but far be it from me to figure it out. It’s like a teenager’s summer journal gone wrong, or a roadmap for a new method of prayer. Do you really think you know what it is to hear dogs bark? Do you know what literal toilet humor sounds like? Can you understand existential questions reframed as juvenile comedy and subsequently rendered as sophisticated sound art? Have you ever tried not to drown in the waters of your own creation? Are these metaphors for assisted freedom exercises? There’s rough weather you didn’t count on. There always is. Come on, let’s turn it out. Label art by Joshua Burkett.